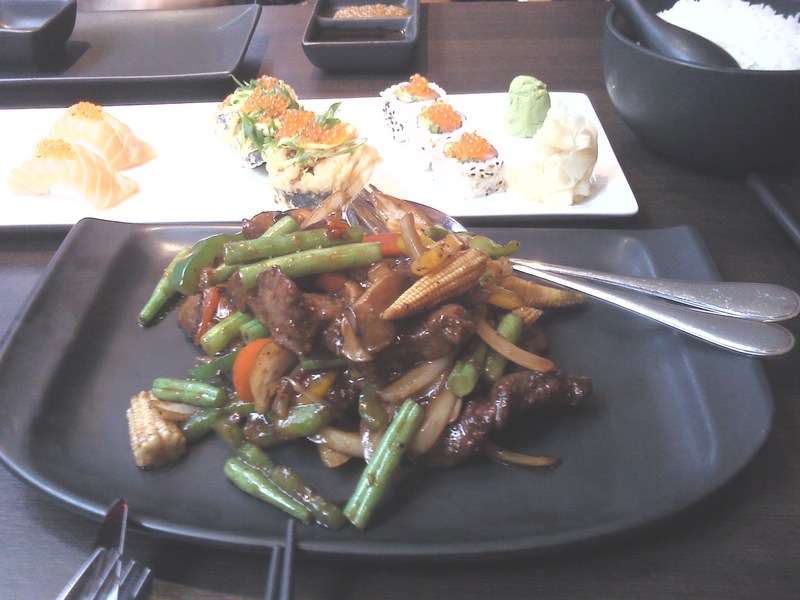 There are many Asian restaurants in Nationaltheatret and I have already reviewed two of them: Dinner and Tabibito. My wife wanted to try Mahayana for a long time but as we knew two nice restaurants in the same area already, it took us some time to actually do it. But we don't regret it as this is a nice place. The decoration is classy, the restaurant is clean, the food tastes good, with the option to eat Japanese or Chinese (maybe even Thai, I don't remember). We actually ordered both Japanese and Chinese food. 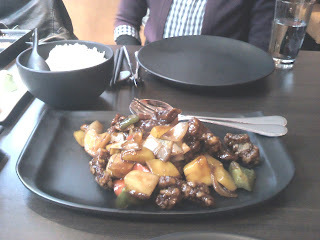 Everything tasted good but I must warn you that Chinese food may be spicy, even if the menu does not mention it. The Japanese dishes should be fine. 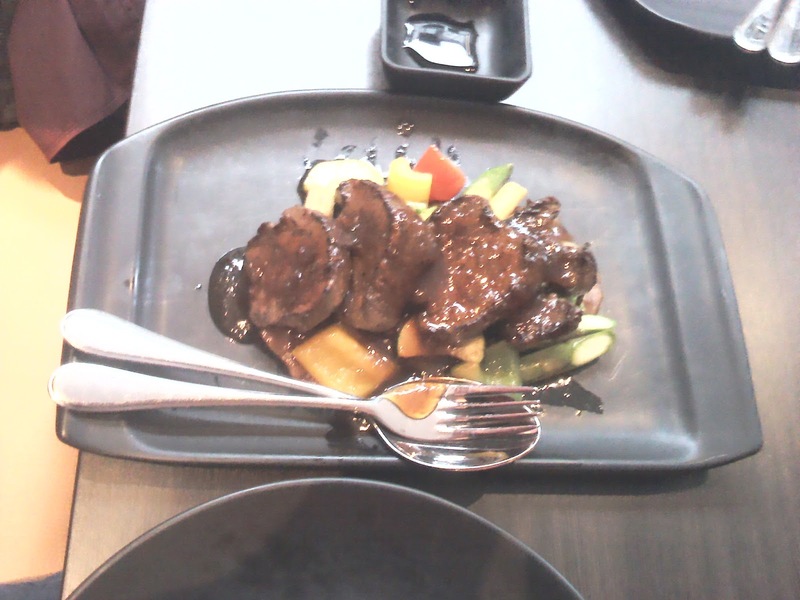 A special mention for the sweet sour pork which is not the common dish we are used to but something particular which was very good. The Japanese-style beef was really good too. 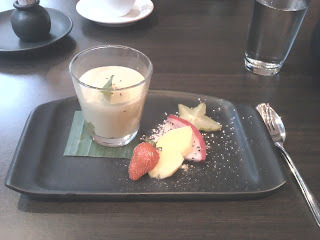 I didn't try it but my wife enjoyed her green tea tiramisu a lot. All in all, a really nice restaurant and probably one of our favorite. I took some new photos last time we went there. I still like this place very much. However, I now believe that they use the word "mild" in the menu to signify that the dish is spicy (if nothing is written, the dish is not, if the mention "only available mild" or something, it means the dish is a bit spicy). Kind of the opposite of the intent, in my opinion.